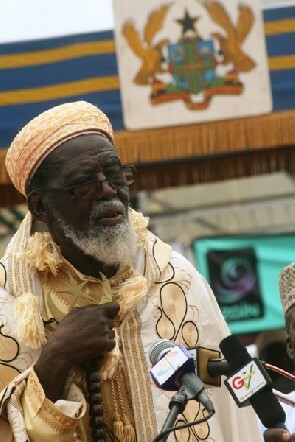 A spokesperson for the National Chief Imam, Sheik Aremeyaw Shaibu has lambasted the Christian Council of Ghana (CCG) for their stiff position against the housing of two Guantanamo ex-detainees in Ghana. Three major Christian groups — the Ghana Catholic Bishops Conference (GCGC), the Christian Council of Ghana (CCG) and the Ghana Pentecostal and Charismatic Council (GPCC) - have asked the government to demonstrate that it is a listening one by sending the two former Guantanamo Bay prisoners back to where they came from. The John Mahama-led administration brokered a deal with the Obama government to house in Ghana, two ex-detainees from the dreaded Guantanamo Bay military facility over a period of two years. The three bodies have expressed worry over the pact which has been shrouded in secrecy - “The whole process lacks transparency,” the CCG pointed out in a statement. “We are of the strongest view that, the inadequate public consultation and broader consensus building by government is exposing our nation and the entire sub-region to terrorist attack, and must be reversed,” the Council noted. But speaking on NEAT FM’s morning show dubbed Ghana Montie, Sheik Aremeyaw Shaibu said he sides with the president on the position he has taken relating to this matter. "The impression is being created that...they are of a certain brand. But they have not been accused...the president has been clear and succinct on this matter, and yet we've this kind of reaction...and that is what pains my heart....They're human beings; they've a right to life...they've a right to human dignity, they need a place to put their lives together...i agree with the president on the position he has taken," he indicated. He pointed out that the Islamic fraternity is well pleased that the two ex-detainees are in Ghana reiterating that they are not terrorists as claimed. “Even if they [Detainees] were to be Christians, we [Muslims] would accept them here, so why can’t the Christians? I will urge all Christians to rather welcome these detainees. They are not terrorists,” he noted. To him, the brouhaha surrounding the resettling of the detainees in Ghana for the past few days shows how “intolerant” we are. An angry Sheik Aremeyaw Shaibu then rhetorically quizzed – “Are Christians clean?” and catalogued a litany of Christian atrocities dating back in history to drum home his view that violence in the name of religion is not the preserve of only Muslims. “They should prove to us that Christians are clean. All over the world, the history is there for all to see. Even in the Crusades, the IRA in Ireland...all these things are there, we know about it....The Christians in Central Africa Republic are killing Muslims, and recently the Pope visited the place....," he stated. When the sit-in host of the show, Kwame Ajetiah (AK47) drew his attention to the fact that the backlash from the Christian Council and other religious bodies was not because of the duo's religious background, Sheikh Shaibu dismissively said; "i don't agree. Once the three major Christianity groups have come out the way they've, they have made it religious! But i am saying that it is a human issue....but one can conclude that because they're not Christians that is why the Christian Council is reacting in that manner...that is it, i have that feeling." He further stated that from their various statements and having listened to the commentary on the issue, one underlying factor that comes up is that because of the background of the two ex-detainees, they should either be sent back to their own country or resettled in Saudi Arabia; an Islamic state. "What they are saying is that these are Muslims so take them back to their Muslim area...but Ghana is not a Christian country, Christians dominate but this country is not a Christian country...there is a difference between a predominantly Christian country and a Christian country. 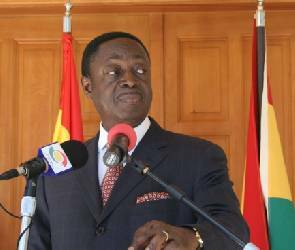 Ghana is not a Christian country," he emphatically stated. Clearly riled by the action of the three major Christian leadership groups, Sheikh Shaibu said he believed there is a certain agenda against Muslims in the country as evidenced by their action (GCGC, CCG and the GPCC issuing a statement on the matter re-echoing one another's thought). "There's a certain ganging up against Muslims in this country," he fumed. When his attention was drawn to the fact that he was unnecessarily whipping up religious sentiments by his remarks, he shot back; "extremism does not happen in a vacuum." Quizzed by the host whether before the issue of the resettlement of the two ex-detainees came up, there had been an occasion where the three major Christian groups voiced their concern antagonising the Muslim community in such manner, he replied; "Oh yes, oh yes!"